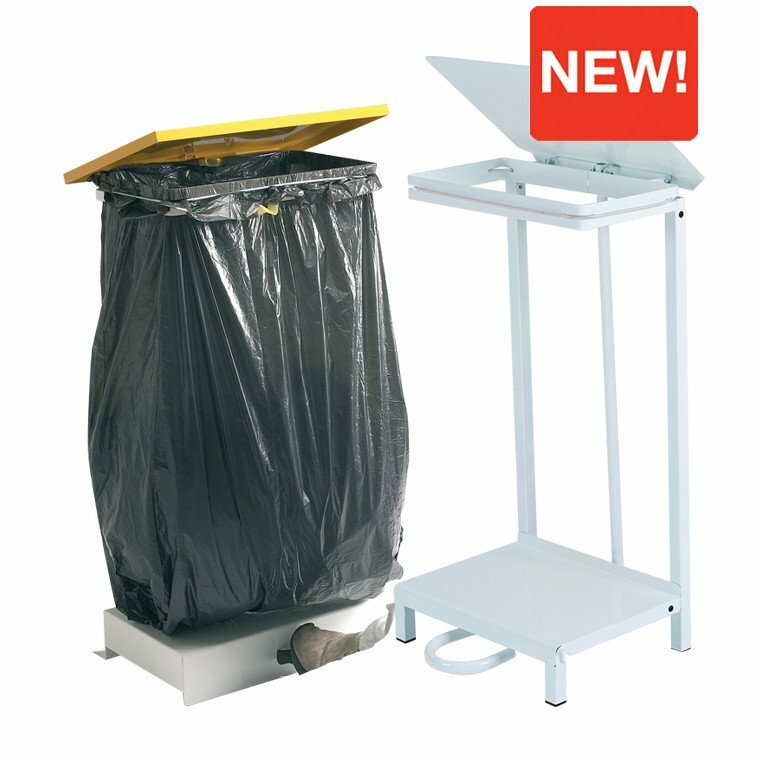 High quality white polyester finish frame with blue,green,red,yellow,white lid for waste separation/identification. Bungee strap for secure sack retention hands free pedal operation for hygiene. Free standing. 92 litre capacity.